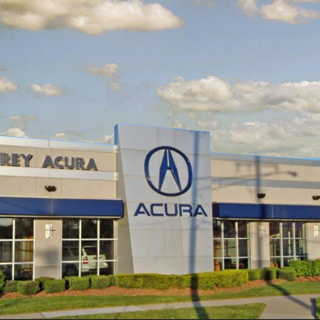 Jeffrey Acura welcomes you to come by and visit our Acura dealership in Roseville, MI where we have a wide selection of new and used Acura cars, SUVs and wagons available for sale in the Detroit, Ann Arbor, Warren, and Sterling Heights and surrounding areas. Being a leading auto dealership in the greater Roseville and Detroit area, we take pride in the vehicles we sell and are committed to providing our customers with outstanding customer experience and quality service. We offer the full line of Acura Vehicles so whether you are looking for a new Acura ILX , Acura TL , Acura MDX , Acura RDX , Acura TSX , or other new Acura model the friendly staff at Jeffrey Acura is happy to assist you in your car buying process. Sign up to reserve your new Acura RLX Luxury Sedan ! While using the Jeffrey Acura website you will find a wide selection of internet car buying tools right at your fingertips. You can quickly access our new Acura inventory , used car, truck and SUV inventory, new Acura vehicle specials , used car specials , research or compare your new vehicle, request a test drive, apply for financing , schedule a service appointment , or even get door to door directions to our dealership in Roseville, MI from your location in Saint Clair Shores, Eastpointe, Grosse Pointe, Macomb, Mt. Clemens, Centerline, Harper Woods, Fraser, Royal Oak, or Ferndale. We are sure that you will drive away happy in your new or used MDX, TSX, RDX, TL, RLX, ZDX, or ILX from Jeffrey Acura.